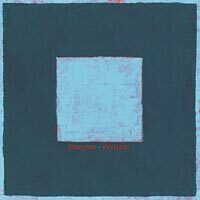 Our gems for with this week start with Skylight, the follow-up to Pinegrove’s widely acclaimed 2016 breakthrough album, Cardinal. The band’s classic American melodies and emotionally direct lyrics blend seamlessly with alt-country instrumentation. The songs swing between wider extremes – whisper to full-belt and back again, treading mid-air – and Pinegrove say exactly and full-throatedly what it is they want to say. The physical edition comes with a bonus disc, Skylight II, which is the entire album performed acoustically. This bonus album is not available via download. 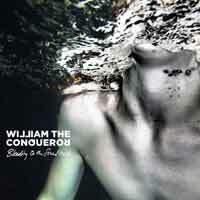 Bleeding On The Soundtrack is the second in a trilogy of autobiographical albums from William The Conqueror which began with 2017’s Proud Disturber Of The Peace, a sublime record that captured frontman Ruarri Joseph’s early life in rural Corwall: the long fearless days spent stirring the quiet hum of village life; the glory of bike rides, den building and rope swings; the dappled half light of memory and imagination. Bleeding On The Soundtrack is a darker more disturbed foray into adolescence then young adulthood: a tale of addiction, divorce and crossroads. 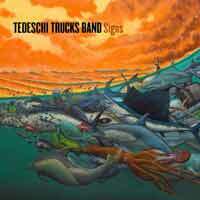 Formed by husband and wife acclaimed guitarist Derek Trucks (member of The Allman Brothers Band) and guitarist/vocalist Susan Tedeschi, Tedeschi Trucks Band is a group intent on moving forwards. Their fourth album, Signs, spotlights this Grammy Award-winning act’s ability to expand musical boundaries while delivering heartfelt song-writing with conviction. Put simply, Signs showcases the band at its best – combining inventive musicality and provocative lyrics. Funk queen Chaka Khan is back with a new album, Hello Happiness. The legendary singer’s first record since 2007 is produced by Switch, formerly of Major Lazer. Its production appeals to both past and present. Chaka sings over a hand-picked selection of her favourite Switch-made tracks, which include moments that span R&B, ’70s New York disco and modern minimalist grooves. 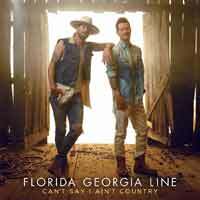 Florida Georgia Line won’t look back on their new album, Can’t Say I Ain’t Country: instead, Brian Kelley and Tyler Hubbard mark new territory and find a balance between high-energy songs and those that dig deep. To stay true to the album’s title, Florida Georgia Line have stirred traditional country elements into the production along with honest story-telling to create an authentic country sound. Symphonic metal titans Avantasia return with phase four of their epic journey, Moonglow. This metal opera spaceship is piloted by Tobias Sammett. Rather than telling a story from beginning to end, this album follows a theme, but without losing the power-metal flavour that made Avantasia’s previous albums so successful. 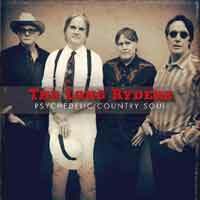 Our album of the week can only be Psychedelic Country Soul, the first new album in over thirty years from the founders of alt-country, The Long Ryders! The classic line-up of Sid Griffin, Stephen McCarthy, Tom Stevens and Greg Sowders has reformed, but this is a Long Ryders for the 21st century. You can still hear their personal connection with the music of the 1960s, but as ever The Long Ryders aren’t a band who live in the past. Psychedelic Country Soul is a great testament to that, featuring 11 songs performed with precision and fire. The guitars weave and harmonicas build and ebb, and this album is set to spread like wildfire.